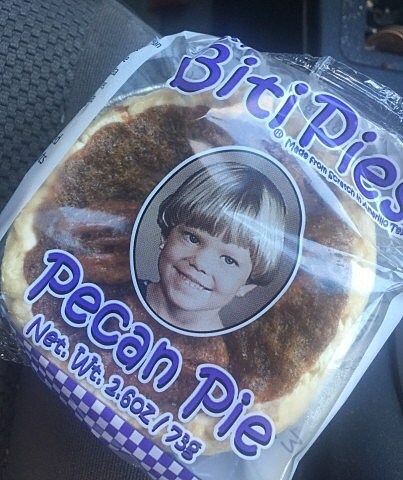 If you have lived in Amarillo any period of time, then you know about these delicious tiny cakes and pies called Biti Pies. Well Biti Pies are getting a new look and a whole new market. My favorite was always their Coconut Cream pie and their German Chocolate Cake. They are a perfect serving for one person. Even if that serving is too big, you and get an Itty Biti, which is, in my opinion, one bite of goodness (OK maybe 2). The Biti Pies Bakery is located at 604 N. Maryland and they are cranking out pies daily. Their set up is pretty cool. However, they have chosen to make two available to ship and that is the Buttermilk Chess Pie and the Pecan Pie. Soon they will be adding a Lemon Chess Pie. Biti Pies also has a new look. The owners daughter's picture will no longer be on the packaging. Although, Biti Pies has local market, their products can be found in certain places across America. However, Biti Pies is about to be come bigger than ever. Coming possibly in March, if not then soon after, Biti Pies will be on QVC. Yes, a piece of Amarillo will be on QVC. That means our local friends will be busier than ever in their bakery. Here's a fun video we did a few years ago, where they showed us how they made those delicious Biti Pies.